The Blue Line 103rd St/Watts Towers and Willowbrook/Rosa Parks stations will be closed this Friday, September 7 at 9 p.m. until the end of service on Sunday, September 9. Bus shuttles will replace trains between Firestone and Compton stations. 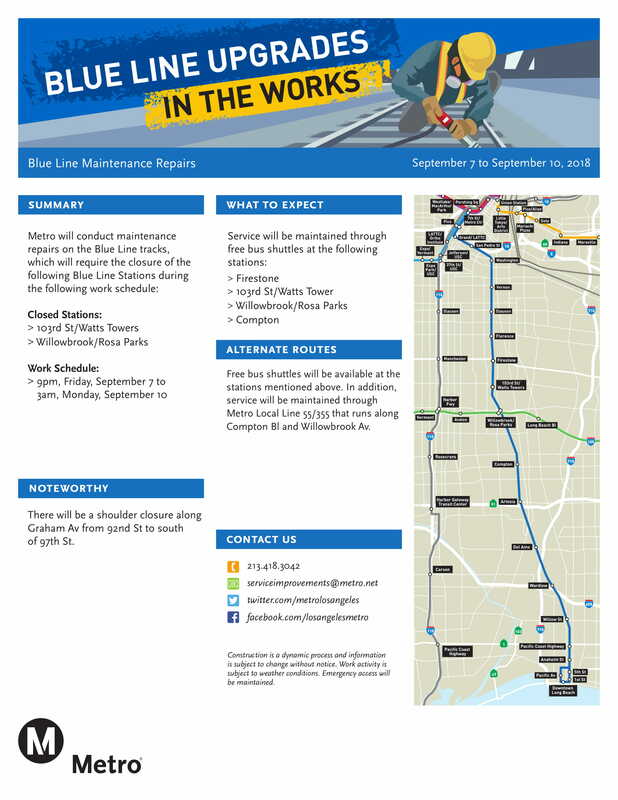 Metro will perform necessary track work on the Blue Line during the closures. Thank you for your patience as we work to improve the Blue Line. Be sure to allow extra travel time for your transfer between buses and trains. Regular service will resume on Monday, September 10. Become a champion for a greener L.A.